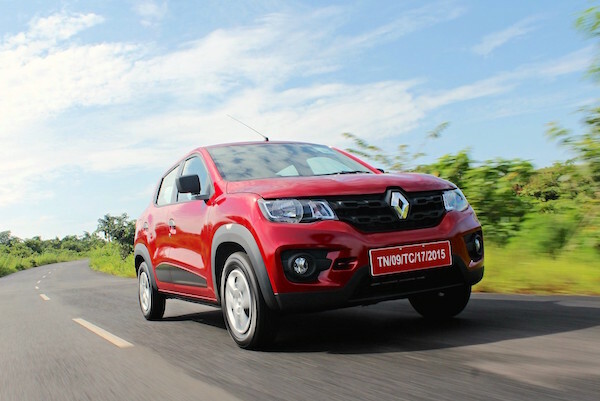 Over 100.000 Renault Kwid found a new home in India in 2016. The Indian new car market sails through a new all-time record in 2016 with sales up a robust 7% year-on-year to 2.957.360 wholesale deliveries. This is despite a weakening of the market towards the end of the year on the back of the “demonetisation” process, with November sales up just 2% and December down 1%. Note these figures don’t include Light Commercial Vehicles. Market leader Maruti-Suzuki continues to launch new models tailored ever more precisely to the Indian consumers, and thus manages to outpace its home market to reach a record 47.2% market share, from 43.1% in 2013, 45.2% in 2014 and 46.5% in 2015. The advance of Maruti at home seems unstoppable: the carmaker even hit an all-time high 52.2% in November, and it has almost all segments in market cornered, sometimes with multiple offerings. 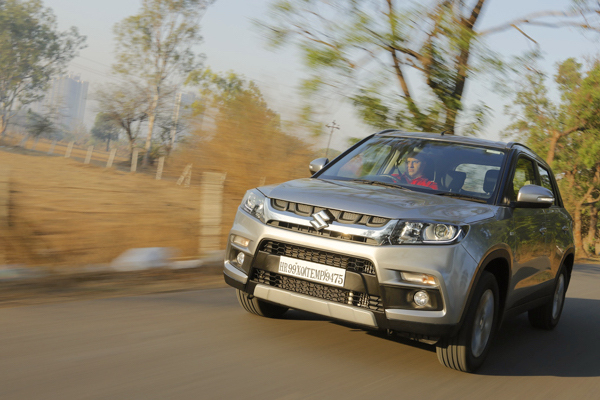 The Maruti Vitara Brezza ranks just outsie the Top 10 for its first annual appearance in India. Maruti has the 4 best-selling nameplates in the country for the fifth year in a row: the Alto is #1 for the 12th straight year (no interruption since 2005) and despite deliveries in frank decline at -10%. The Maruti Wagon R once again beats its annual volume record thanks to sales up 3% on 2015, but the DZire (-14%) and Swift (-19%) are affected by the very successful launch of the Baleno through a network of new, more sophisticated dealerships called NEXA. Despite being only available in 150 POS, the Baleno sold 107.066 units for its first full year in market, landing at a stunning 7th place overall. It posted four 10.000+ sales months and peaked at 11.093 in November. A second launch in 18 months that hit the bullseye for Maruti: the Vitara Brezza appeared in March and has been the #1 SUV in the country without interruption since August, peaking at 10.056 units in October. Finally, the Ciaz (+17%) takes the lead of the compact sedan segment where Maruti had been absent until recently, overtaking the Honda City (-31%). Hyundai sold half a million vehicles in India in 2016. As we predicted last year, Hyundai crosses a very symbolic milestone in India in 2016: half a million annual sales. That’s a 5% improvement on 2015, resulting in a slightly lower market share at 16.9%. The Grand i10 becomes the carmaker’s best-seller thanks to sales improving 10% and overtaking the Elite i20 (-6%). 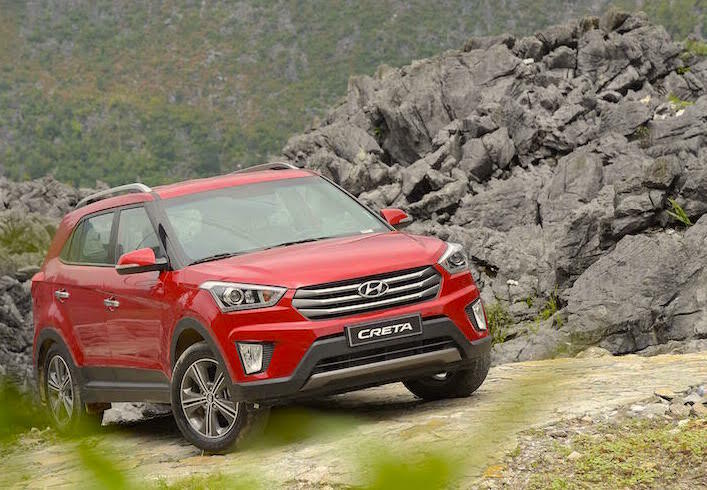 But what Hyundai should be most proud of for 2016 is the tremendous success of the Creta, ending ten consecutive years of the Mahindra Bolero reign as India’s best-selling SUV and breaking into the overall Top 10 for its first full year of sales with over 90.000 units finding a new home. Local carmaker Mahindra posts a solid score at +9%, remaining in third position in the brands ranking. It compensates the decline of the Bolero (-23%), Scorpio (-8%) and XUV500 (-24%) with a slew of newly launched SUVs: the KUV100 (#24) and TUV300 (#29) while the NuvoSport fails to make an impact (#67). 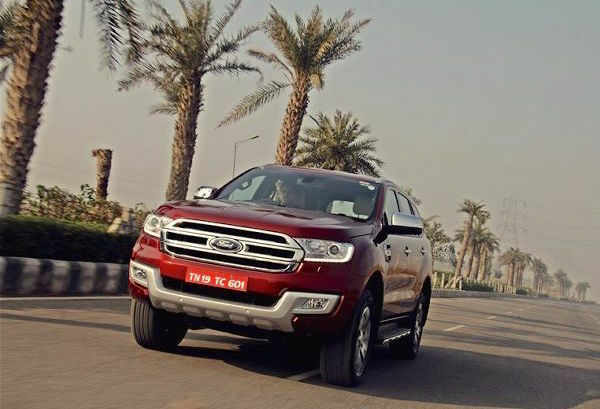 The Endeavour helps lift Ford sales up 10% in India in 2016. Honda freefalls 23% in 4th place with only the Jazz (+25%) gaining significant ground, while Tata (+2%) has stabilised its dropping volumes of the past few years thanks to the Tiago landing at #23 and peaking at #13 in November. Toyota drops 4% to 4.5% share with only the new Innova Crysta (#13) making it into the Top 25. Even though it only improves by one spot on last year to #7, 2016 is the year Renault cracked the Indian market with over 130.000 deliveries (+148%). After a failed attempt with the Datsun GO, the Renault-Nissan group has hit gold with the Kwid, ranking at an incredible 8th position overall for its first full year of sales with over 100.000 units and 124.000 since launch, and able to claim some responsibility in the sharp decline of Maruti Alto sales this year. Renault is now trying to replicate the Kwid’s success in South Africa and Latin America with launches in Brazil and Argentina happening as we write these lines. 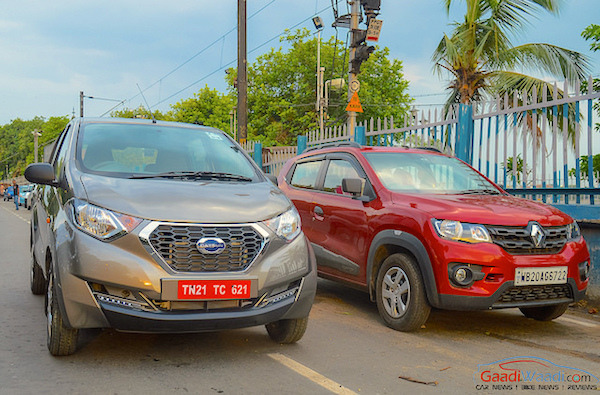 Datsun hasn’t been able to replicate the Kwid’s success with the RediGO. Ford (+10%) outpaces the market thanks to the Aspire and Endeavour, Volkswagen (+12%) does so thanks to the launch of the Ameo (#44) and Datsun breaks into the manufacturers Top 10 thanks to deliveries doubling on 2015 to 38.014. However, after a very satisfying launch (3.940 sales in July – a record for a Datsun in India), the new RediGO is fading fast, with just 1.548 in December. Chevrolet (-20%), Fiat (-24%) and Nissan (-32%) implode while luxury brands are hit full frontal by the demonetisation and all post forgettable scores: Audi (-9%), Mercedes (-12%) and BMW (-21%) are all down by significant margins. Full Year and December 2016 Top 20 brands and Top 100 models vs. Full Year 2015 figures below.